chihuahua pillow: pretty in pink chihuahua. chihuahua throw pillow cushion in screenprinted organic cotton. our pretty in pink chihuahua throw pillow or seat cushions is simply irresistible! the fun chihuahua pillow really brightens up any sofa or bed with its lovely details and adorable looks! it's an adorable little cushion, or sofa pillow, whether you want to lay down on it or use it as a piece of decoration. 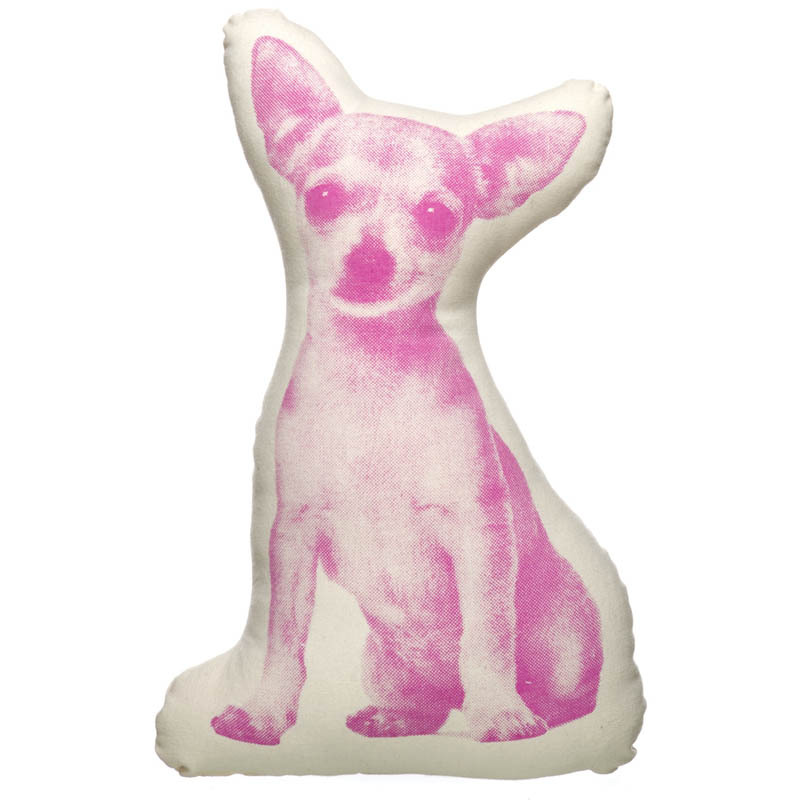 our pink chihuahua cushion is made with 100% organic cotton and polyester filling. it measures 13 x 9 x 3.5 inches. the pretty in pink modern chihuahua dog pillow makes a great gift too!